Join us, and experience opportunity. Because the experience starts with you. At C3i Solutions, we are committed to providing an incredible experience — that starts with you. As our company grows, we’re looking for you to grow with us. We want people who bring their own personality, strengths and talents to create something exceptional. And we’ll support you every step of your journey, with professional advancement opportunities, tuition reimbursement programs and collegiate partnerships. We know the investment we make in training and development leads to a better experience for our clients. Our Training and Development team has programs created to help you reach new heights, with professional development and leadership training through classroom instruction, e-learning, and outside seminars. At C3i Solutions, we recognize people are our greatest asset. That’s why we are committed to celebrating their milestones and accomplishments. We recognize our associates’ work on projects as well as their participation beyond the scope of their core responsibilities. The work here is challenging and rewarding, and we’re dedicated to helping your career reach new heights. 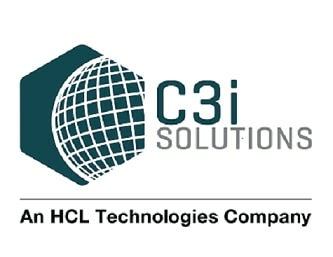 With a philosophy of “promotion from within” across our organization – and a 50+ percent internal promotion rate – no other company delivers an experience like C3i Solutions.